If your goal is to buy or sell used printing and converting equipment for a fair market price, without wasting time or enduring hassles, this is where you belong. For 30 years Graphtek, Inc. has been providing honest and reliable service to small commercial printers as well as the giants of our industry. We can provide all the information you need to make a good buying or selling decision and offer guidance to insure that it is a safe one. Our business is local, national and international. We help our customers to import and export. So, if you are starting a digital prepress department and need an imagesetter, adding a few units to your pressroom or putting the finishing touches on your bindery, Graphtek can find the used equipment you need. Below find descriptions of the pages on our web site. Look around; let us know what you think. Find PREPRESS, DUPLICATOR, SHEETFED PRESS, WEB PRESS, and POST PRESS equipment for sale here. Request information about equipment you may wish to buy. 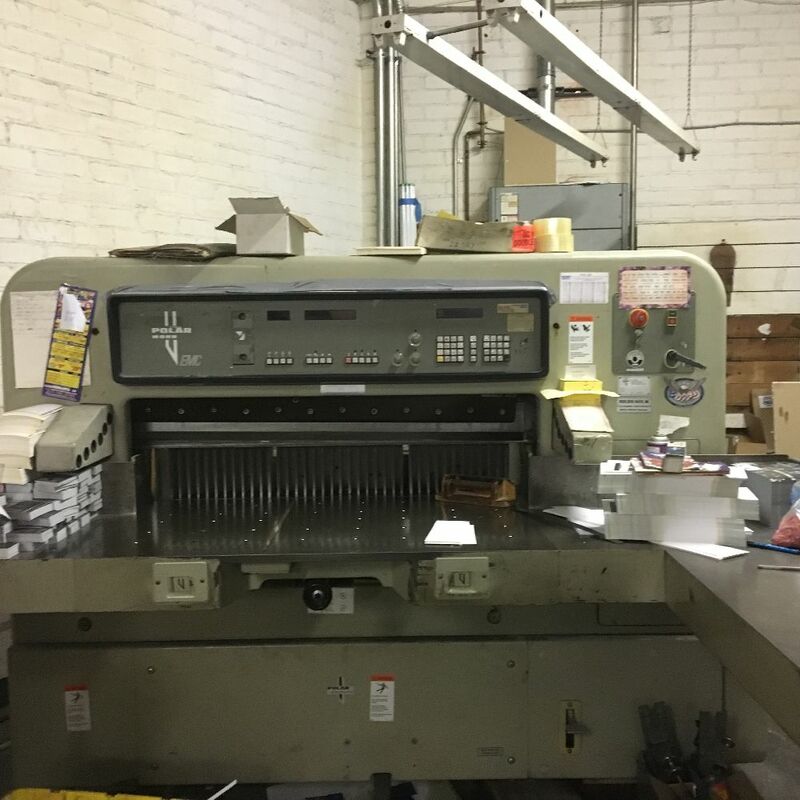 1997 Heidelberg Harris 4-unit V30 [#89764] [image] $Call. Coldset, 2 folders JF35 with quarter fold and 2nd folder with quarter and double parallel, 4 Martin EC Plus splicers. Cutter with air on main table only, two extended metal side tables, left and right.